Call me crazy, but this /Film story about Dreamgirls director Bill Condon developing a comedy series for HBO about a Nikki Finke-esque movie blogger called Tilda (Toldja?) has gotten me ridiculously excited. An entire series devoted to the world I inhabit every day sounds fantastic to me, but I do forsee problems. How much will be just inside jokes that only we will get, and how much will the general public get? Movie bloggers don't exactly make up a huge segment of the population. 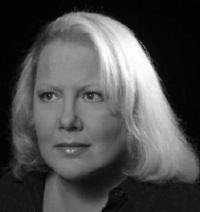 And who outside the industry/blogosphere actually knows who Nikki Finke is? They will have to walk a fine line not to make it too esoteric, but there is a goldmine of comedy to be had here. All you would have to do is visit Hollywood-Elsewhere on a daily basis for story ideas. Will most people think it's all too crazy to be true? Probably. Seeing caricatured representations of people like Finke or Jeff Wells to lesser known upstarts just trying to get noticed, or the other larger than life personalities that populate our insular little world. I just don't know if enough people even know it exists for it to really catch on. As for me, it may turn out to be the one TV show I will watch religiously.